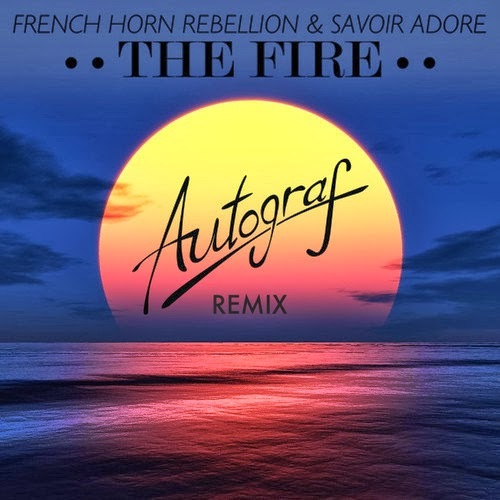 The production duo known as Autograf are back with another solid remix, this time of "The Fire" from French Horn Rebellion & Savoir Ador. Seeing that is is Friday, we needed something epic and that's what we have here. Keeping the cool vocals intact, Autograf builds a piano around it with some cool dance breakdowns. It definitely has a "cruising-with-the-windows-down" kind of feel, but seeing at it is like 30 degrees right now, I'll have to make sure it gets added to a Spring/Summer playlist as well. Stream and download for free below.